Cork Coffee Weekend, a showcase of indie cafés in Cork, will be holding fun, informative coffee-focused events throughout the city. 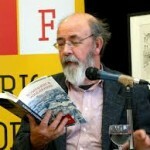 Poetry readings and literary discussions at the Cork Arts Theatre, Camden Court, Carroll’s Quay and various spots around the city, brought to you by the Munster Literature Centre. Quarter Block Party is a three day music and arts festival on North and South Main Street, Cork City, taking place on the first weekend of February. Bringing together top Irish and international musicians to perform around Cork City and County. The festival also includes educational and outreach projects in schools and public spaces across the community. Join us as the city comes alive with colour, music and pagentry for this year’s St. Patrick’s Day Parade. On this festival weekend, take a guided tour, listen to some traditional music, see an exhibition or take in a show. Showcasing experimental sound through installations and live performances in unlikely venues in Cork including St. Peter’s Church and Cork City Gaol. Cork’s Lifelong Learning Festival promotes and celebrates learning of all kinds, across all ages, interests and abilities. During the festival all events are free and accessible to everyone. Learning is promoted as fun with events including performances, debates, taster sessions, tours, displays and demonstrations. They take place right across Cork in a variety of venues indoors and out, including on water, and in shopping centres, libraries, museums, resource and community centres, parks, sportsgrounds and on the streets. It is a participator inclusive event, involving members of book clubs based in the City’s libraries and other readers groups, giving audiences who would not normally attend literary events a chance to experience readings by leading Irish and international writers. With the majority of events 100% free and excellent deals available for Gala and Fringe Concerts, there is something for all ages and interests. Top off your May Bank Holiday with a visit to Cork for one of Europe’s most exciting vocal music experiences. 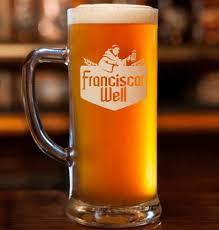 Bavarian style beer tent will house the country’s most innovative brewers including YellowBelly, Kinnegar, Trouble & Torc. With the spirit sector undergoing vibrant growth we now also be showcasing some of Ireland’s finest distillers such as Blackwater Distillery, Blacks of Kinsale & Jameson! The festival is bringing together Ireland’s whiskey producers and Cork’s best bars and restaurants to show you what’s available in the city. Taking place every year in the picturesque fishing village of Schull on the south-west coast of Ireland. We screen short films from all over the world and invite industry professionals to share their knowledge with our visiting filmmakers. ‘Our Village is Our Screen’. Ocean to City – An Ras Mor (‘The Big Race’) is a 15 nautical mile (28km) rowing race and maritime festival celebrating Corks unique maritime heritage and natural harbour. The grand finale is the Ocean to City Race. More than just a race, there’s something for everyone at the Ocean to City Event both in the city & county; Dragonboat, currach & kayak trips,Corkumnavigation, Harbour cruises, Navy tours, Angling trips, maritime exhibitions, boatbuilding demonstartions, maritime films and talks in the Triskel theatre, food and craft markets, music , Ceili, model boat making and much more. The Cork City Marathon, Half Marathon and Team Relay will take place on the June Bank Holiday Monday. Shandon Street Festival takes place in June of each year. It is usually held on the Saturday closest to mid summer’s day. Everyone, whether long-time local or first -time visitor, is invited to join in. Church Street, Bob & Joan’s Walk and Exchange Street are decorated by local youth groups and create a colourful setting for family fun. Face-painting, clowns, and music from local bands add to the atmosphere. Try a tango or Salsa in the street. If you get hungry after all that activity sample a tasty snack from the food fair. Sit back and enjoy performances from local schools and community groups,with historical re-enactments of local characters and stories. 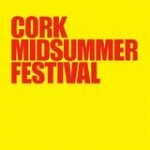 Cork Midsummer Festival is one of Ireland’s leading international summer arts festivals with a programme of local, national and international arts including: theatre,dance, music, opera, visual arts and street arts, as well as ambitious participatory projects and an extensive programme of free events. Damhsafest is the only International Folk Dance Festival in Ireland.Internationally acclaimed Folk Dance Groups from Cardiff in Wales, Russia, Finland Hoe-downers from Kentucky in USA, Togo in West Africa and Ireland will provide top class entertainment in selected venues in Cork City and County. Free public performances take place every day of the festival. 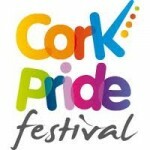 Cork Pride festival’s Mission is to celebrate the diverse culture of cork’s gays, lesbians, bisexual and transgender (Lgbt) community , by providing the Cork community with various activities and functions to promote and engage in educational, civic and cultural activities in order to enrich the lives of LGBT people and the community as a whole, and to work together to achieve common goal. Whether your wheels were made for racing, touring, tricking or simply to get from A to B, this festival has plenty to offer. 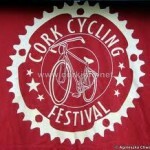 From themed city cycles, tourist countryside tours and bicycle parades, to DIY workshops, fashion events and a bike beauty pageant – Cork Cycling Festival has it all.All events are free and don’t worry if you don’t have a bicycle, you can rent one. Although famous in other parts of the world, especially in the United States of America where she was once labelled “the most dangerous woman in America”, Cork born Mary Jones (née Harris) – or Mother Jones as she is perhaps more widely known – was virtually unknown and certainly not recognised as yet in her native city. She was a constant thorn in the side of the establishment. The festival brings song, dance and storytelling to Cork city. An award winning festival “weekender” which takes place on the outskirts of Mitchelstown in northern County Cork each year on the August Bank Holiday weekend. This is the world’s oldest annual short story festival and is produced by the Munster Literature Centre. Some of the world’s greatest writers have come to read at this festival including Louis de Bernieres Richard Ford, Jhumpa Lahiri, Yiyun Li, Edna O’Brien, Colm Toibin and many many others. Every year writers of this calibre come to Cork to engage with lively audiences through free readings, workshops, seminars etc. Presented along with the festival is one of the world’s most prestigious short story awards, The Frank O’Connor International Short Story Award. 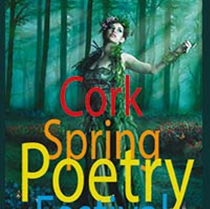 A festival roduced by Cork Opera House. Sounds from a Safe Harbour is a festival of music, art and conversation that brings a huge international creative cast to Cork for big sell out bands and intimate secret gigs in undisclosed occasions alike. The food festival will be centred in the Metropole but will also take place in other venues across Cork City with live music, an exciting food trail and plenty of other aspects that will happen over the weekend. 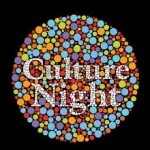 For one very special Friday night in September,Culture-junkies can look forward to incredible art, exhibitions, drama and music when this year’s Culture Night comes to town. In addition to the musical offerings, locals and visitors will also have the chance to explore a record number of cultural venues and otherwise private facilities, enjoying a feast of cultural displays and activities, and all for free. Running from early evening until very late, there is something for everyone, young and old alike. Theatres, galleries, observatories, public laboratories, film and artists’ studios, Churches and music venues are opening their doors and putting on a range of special events, all for you and all for free! The Cork Folk Festival is one of Ireland’s finest musical events and each autumn thousands of world class musicians and followers of good music throng to the city. 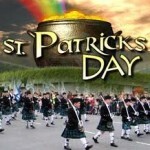 Performances take place in concert halls, music venues, in 30 pubs and at the open- air Ceile Mor on the Grand Parade. At the festival you will find the very best of Irish traditional musicians from Cork, Sliabh Luachre and from all over Ireland playing in a relaxed and informal atmosphere. 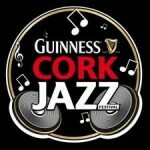 The Cork Jazz Festival has become one of Ireland premier and most successful internationally renowned musical events since it was first held in 1978. 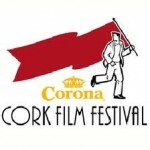 Each year thousands of visitors come to Cork to enjoy the City & it’s Festival. We invite you to come and join us for one of the greatest jazz parties in the world over the October Bank Holiday Weekend. The programme is wide-ranging, an eclectic mix of big budget pictures, world cinema, innovative independent films, documentaries and short films from all over the globe. The festival is a major showcase for Irish film production. A program of free public engagement events, open days, science tours, talks, exhibitions, shows, workshops and school visits. Cork Science Festival is main partner of Science Week Ireland, and one of the largest STEM engagement events in the Irish science calendar. 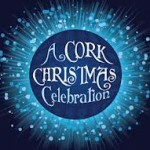 A Cork Christmas Celebration sees Bishop Lucey Park being magically transformed into a beautiful illuminated park and The Grand Parade will also be transformed into a wonderful haven of Irish and International craft and food stalls, something for everyone to enjoy this Christmas!